The United States and China have reportedly agreed on a “broad outline” that would end the seven-year ban on ZTE buying American technology, according to the Wall Street Journal. Although the details haven’t been ironed out, the agreement would involve major changes to management and potentially heavy fines, sources familiar with the matter told the Journal. If the deal goes through, ZTE’s business would be saved. The company said previously that it had halted “major operating activities” as a result of the ban, which prevented it from receiving parts from many of its most crucial U.S.-based suppliers, including Qualcomm. Talk of the tentative deal comes after President Trump announced earlier this month that sanctions against ZTE had cost "too many jobs in China." In a tweet, he pledged to get the company back in business. “President Xi of China, and I, are working together to give massive Chinese phone company, ZTE, a way to get back into business, fast. Too many jobs in China lost. Commerce Department has been instructed to get it done,” he said. Trump’s pledge to save the embattled company was previously met with concern from lawmakers in both parties, who argued that overturning the ban could pose a potential security threat. 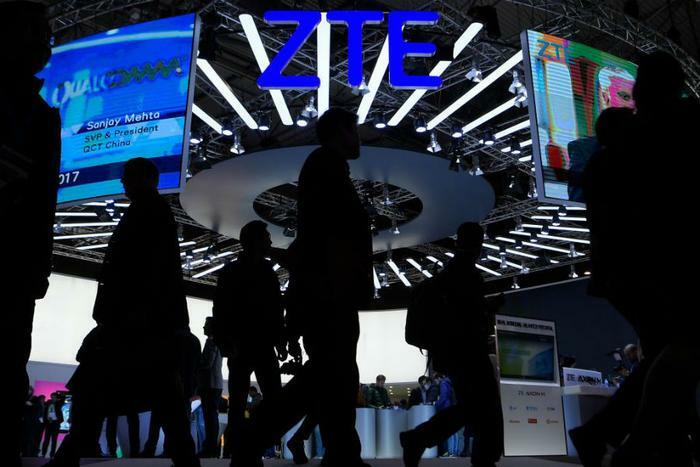 "ZTE is a Chinese telecommunications company that has been exhaustively investigated by the U.S. intelligence community, other areas of the government and the U.S. Congress,” said Rep. Dutch Ruppersberger (D-Maryland). Last Thursday, the House Appropriations Committee voted unanimously to accept an amendment to a bill that upheld sanctions against ZTE.